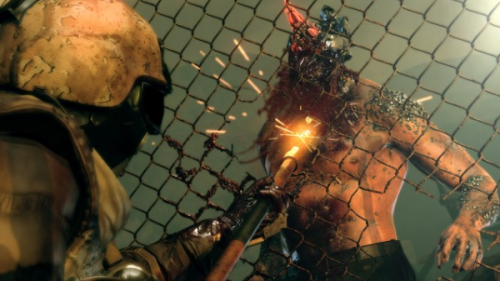 Remotr - What will Metal Gear Survive actually be like? 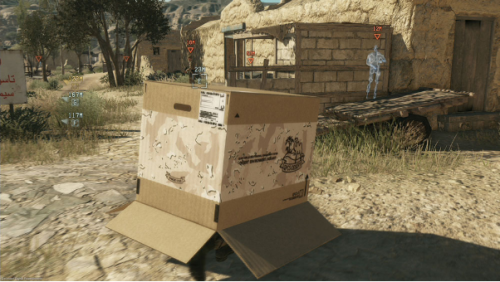 Ah, Metal Gear Solid. The game series where you can actually beat bosses by letting them die of old age, where female assassins wear next to nothing because apparently they breathe through their skin, and where the best stealth technology known to man is a cardboard box. The series was created by Hideo Kojima who, regardless of what some people say about him, was the creative driving force behind Metal Gear Solid. We say ‘was’, because Konami, the publishers and development company behind Metal Gear Solid fired left in anger by couldn’t afford or something-something Hideo Kojima last year (the exact reasons are murkier than the whole Kayne West - Taylor Swift “feud”). This means that the latest installment, called Metal Gear Survive, is the first game that has been developed without Kojima. It’s also the first Metal Gear game that’s developed as a co-op game. After being sucked through a wormhole, you wake up in a desert with twisted wreckage (and no, we didn’t miss any words in that last sentence), along with other people, whom you’ll have to work with as a team to survive. Metal Gear Survive is being treated as a spin off story from the main Metal Gear Solid franchise. If we had to guess, it is because Konami aren’t exactly sure what the fan reception is going to be for this game - not only is Kojima not behind this one, it’s also a complete change in direction from the original Metal Gear Solid games in both gameplay and (probably) fighting mechanics. According to Konami, they’ve managed to combine both co-op mode and the stealth game, which is the mainstay of the Metal Gear Solid franchise. And really, when it comes to cooperating together, and carefully planning out tactics and strategy, before attacking the enemy at their most vulnerable, all together in one concerted move, what could possibly go wrong? Will Metal Gear Survive… survive? When they see what the fans think of it, and how much money they actually make out of it, we’ll either see Metal Gear Survive fade away and never mentioned again, or we’d better be prepared to to play Snake shooting fire arrows at alien and demons. But from inside a cardboard box. Want to play Metal Gear Solid on your mobile? Install Remotr on your mobile and PC today!